← Topaz Heat Now Available in Paperback! 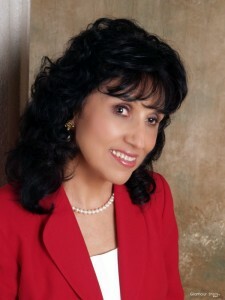 I am so excited today to introduce to you Janet Perez Eckles. Janet is beyond inspiring. She writes inspirational non-fiction. She gets ideas while parasailing. And, she’s completely blind. What an encouragement to anyone! 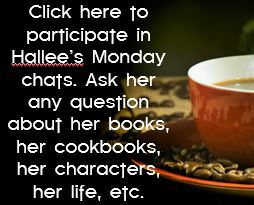 Please enjoy this interview, as she answers the questions posed by you, as much as I did. Born in Bolivia, I brought with me my Latina flair, and passion for life. Both of which set the tone for my books, magazine articles and keynotes I delivered across the country. And…almost forgot, I’m completely blind. So, I teach folks to see the best of life too. 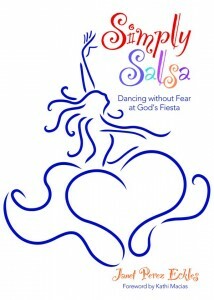 Simply Salsa: Dancing Without Fear at God’s Fiesta danced its way to #1 in Amazon in August, 2011. But more importantly it continues to dance inspiration in thousands of readers’ hearts. 3. What inspired you to start writing, or did you always want to write? After I lost my sight completely, God nudged me a bit, showing me what I could still do—hear, talk, walk, love and know how to find joy in everyday life. Then stories, insights and episodes with colorful descriptions swirled in me. Eventually they filled lines and chapters of my writing. I did both. First book was self-published. Then God put an agent in my life and my second book was traditionally published. 5. Have you always wanted to write a book? No. But I always wanted to make people feel better, feel important and loved. Then I found that God’s path was for me to do that through my writing. 6. Do you have pre-determined length in mind when you first begin a book? No. The writing flows, the chapters form and the contents follow the theme till I reach a conclusion. 7. What advice do you have for aspiring writers? To be humbled, be patient, learn to accept critiques, accept closed doors and when God opens one, dash through it holding on to His hand. Computer, using a software that reads the screen…technology is wonderful and God is so very awesome to provide it. Life’s events, setbacks, trials, challenges and victories along the way. 10. Where’s the strangest place you’ve ever had a great writing idea? While parasailing in Cabo San Lucas. There I was, way up there, my hair blowing in the wind. But being blind, I thought The experience was a tad over-rated. Then I thought about writing about disappointments in life, they come on land, at sea and even up in the air. As a child in Bolivia, the only one that stands out is Aesop’s Fables. 12. Who do you envision your typical reader to be? That woman itching for something better, for significance, victory and looking for joy. The woman who makes the decision to accept the freedom God offers, accepts His ways to conquer fear and chooses to live a life rich with security and confidence. 13. 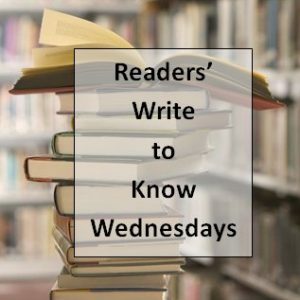 I’m always intrigued by how writers get started…did you always have these books inside you and knew that you wanted to write them or did the idea just pop into your head one day and you decided to put pen to paper? When I first wrote my story, the chapters flowed, but the insights and inspiration came with much thought, study and prayer. I write what I would like to read—stories that impact, and with details that are engaging. I write with passion that leaps into the heart because that’s exactly what I like to read. 15. I assume when you start a book, you pretty much have the plot laid out. Do you ever change your mind later on in What is one thing that you “never saw yourself doing” and either do it now or have done? Traveling by myself across the country and other countries. Using the white cane, I head to speaking engagements often encountering lots of adventure. I pack courage and faith in the suitcase of my heart. Want to find Janet Online? Here’s how! 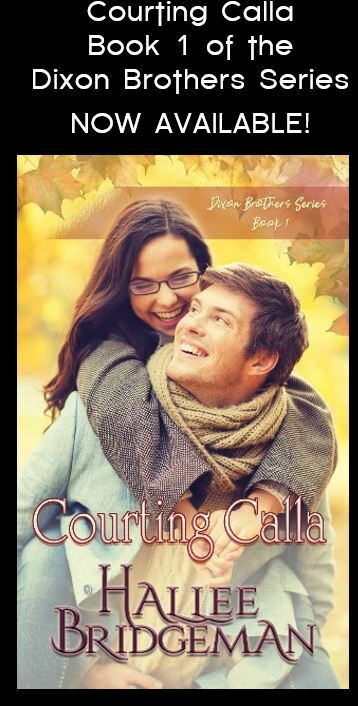 This entry was posted in Hallee's Interviews with Christian Authors and tagged Entertainment/Culture, Human Interest, Janet Eckles, Janet Perez Eckles. Bookmark the permalink. janet is such an inspiration. I know her through the John 3:16 Marketing Network and I also watched her TV interview on ‘100 Huntley Street’ a while back. Parasailing??? Really? You really are something Janet! WOW–I am impressed, to say the least! What an inspiring speaker and I think her parasailing in spite of her blindness says it all–she’s one amazing woman! I liked and tweeted her video and look forward to checking out her new book. Thanks for a wonderful and inspiring interview! I know Janet from John316, too, and got to meet her in person at the BRMCWC a few years ago. I love the Simply Salsa book. Before I even finished reading it myself I ordered a copy for my sister! It was a great chance to learn more about Janet. Her story is very inspirational. I’m curious to learn more about the computer software and how she writes. Is it a combination of braille and audio? Janet, I never get tired of hearing your stories. Your comment in this interview, “To be humbled, be patient, learn to accept critiques, accept closed doors and when God opens one, dash through it holding on to His hand,” painted such a beautiful picture in my mind. I’ll be looking for those open doors and His hand.